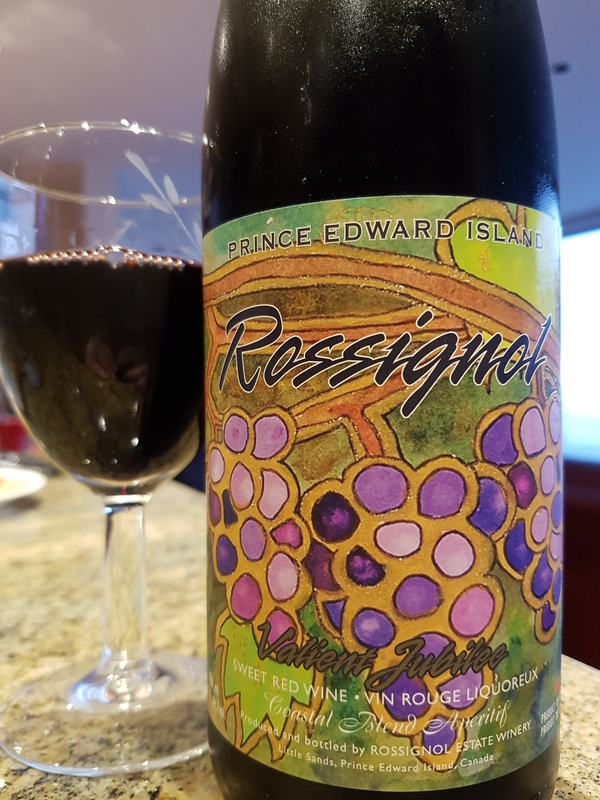 Valient Jubilee Sweet Red Wine – Rossignol Estate Winery (PEI, Canada) | Justintoxicated. Visual: Non-vintage, cellared for 5 years. Pours a very dark reddish-purple, slow thick legs. Finish: tart gums, slight concord grapey exhale. Summary: Valiant grape, a first for me tasting this varietal. More info here, it seems this type of sweet grape is well-suited for making jam and juice due to its deep rich flavour. This drinks like a sweet and tangy alcoholic grape juice with decent depth, easy going and quite approachable. It would be interesting on the rocks or in a cocktail, as suggested on the Rossignol website.